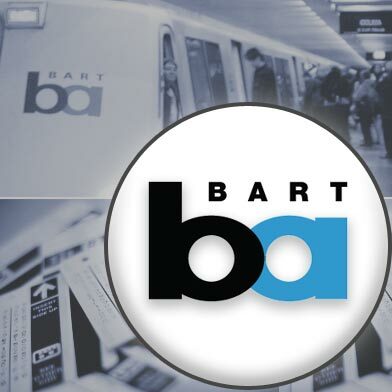 8:20 PM (Bay City News): BART protests expected to disrupt service this afternoon failed to materialize, but the agency said that riders should be vigilant in coming weeks while the threat of protests lingers. On July 11, protesters disrupted rush-hour commutes in response to the killing of Charles Hill by BART police a week earlier. BART police arrested a number of protesters that night and temporarily closed San Francisco’s Civic Center BART station, among others. This afternoon, BART police were standing, with about a dozen officers in riot gear and a dozen safety officers in green vests present on the train platform at Civic Center Station, where protesters were expected to gather around 4:30 p.m.
Lt. Andy Alkire said that no arrests were made today and that it helped to have a uniformed police presence. As an added precaution, the agency shut off cellphone service on the station’s platform. While Alkire said the tactic was an unusual measure, he said it was “a great tool to utilize for this specific purpose” given that the agency was expecting a potentially volatile situation. “This group seems to want to challenge BART, challenge the police department,” Alkire said. BART was not the only transit agency that took precautions this afternoon. The San Francisco Municipal Transportation Agency also announced that it had shut down regular cable car service on the Powell Street portion of the Powell-Mason and Powell-Hyde lines at 3:30 p.m. Shuttle buses provided service along the route until normal Muni service resumed at 6:30 p.m.
Johnson encourages BART passengers to remain aware of their surroundings as they commute over the next month. Passengers can report suspicious or unsafe behavior by calling (510) 464-7000 or by locating an intercom. 4:53 PM: As part of “a larger strategy,” to deal with the protests anticipated in at least one San Francisco BART station tonight, cell phone service blocking was considered, a BART official confirmed, but said that the transit agency is not blocking mobile phone reception in any of its stations at present. Protesters disrupted rush hour commuting on July 11 in response to the killing of Charles Hill by BART police a week earlier. BART police arrested a number of protesters and temporarily closed San Francisco’s Civic Center BART station, among others. BART will “staff accordingly” at the Civic Center station with the possibility of a protest this afternoon, and, according to a BART spokesperson, the option to block cell phone service at San Francisco BART stations is one that’s been considered. Allison did not provide further details of the strategy, saying only that cell service at as many stations from Civic Center to Embarcadero was suspended. A few minutes later, Allison called the Appeal back, saying he’d been misinformed, and that no BART stations were blocking cell service at this time. “I just talked to someone there and it works” Allison said. He did not provide any further details. The San Francisco Municipal Transportation Agency also announced it shut down regular cable car service on the Powell Street portion of the Powell-Mason and Powell-Hyde lines at 3:30 p.m. as a precaution of possible disruptions from a protest. Muni shuttles will be available in their place. As of 6:07 PM, no disruptions were reported at any BART stations. As of 6:30 PM, Muni is resuming cable car service on Powell Street.